Going to the dentist for regular check-ups is a good habit to have. It's recommended by some, such as the American Academy of Pediatric Dentists to visit the dentist every six months for a check-up. There are also those who argue less frequent visits are fine as there is no proof visiting the dentist at regular intervals correlates to less tooth decay. Having said that, one thing you get when you go to the dentist for a check-up is the use of an abrasive toothpaste to clean your teeth. You also get your teeth flossed, which should be done daily, just like brushing. The type of toothpaste used removes surface stains and makes your teeth brighter. The bright smile we get after visiting the dentist, unfortunately, has a limited lifespan. As once we get back to our regular eating habits, the brightness begins to fade. Tea, coffee and wine are culprits when it comes to losing the sparkle in our smiles. Thankfully, there are ways we can prolong the sparkle and still eat and drink what we want to. Using a straw would help maintain our bright smiles. Drinks with a high sugar content such as juices, soda pops, cordial, can all be drunk using a straw. Use a cup with a lid for hot drinks instead of drinking directly from a cup. As for wine, you could try a lid or a straw if you want to or you could eat something after drinking wine to help prevent teeth staining. 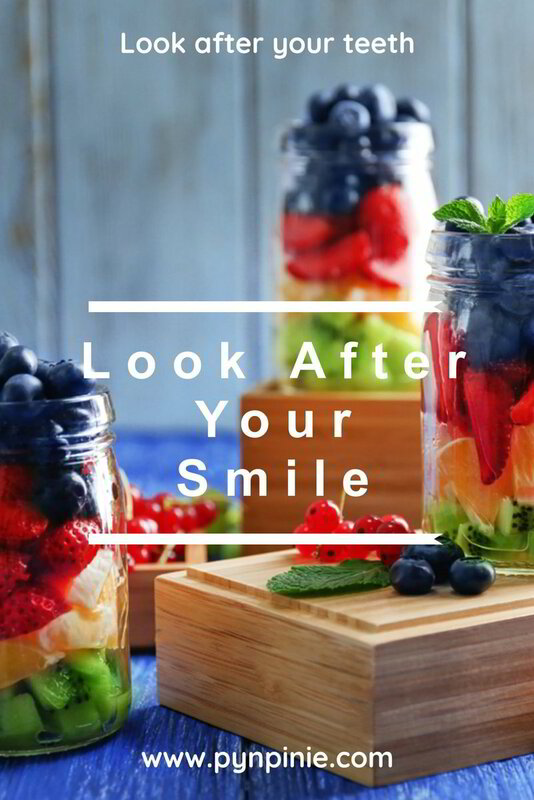 Just as there are drinks that stain our teeth, there are foods that thankfully can also be eaten to brighten our smiles and make our teeth whiter. Some of which may surprise you. Biting into an apple, pear or on a carrot is good for your teeth. By crunching into these fruits and vegetables, their coarse texture scrubs the teeth as we chew. While chewing there is increased saliva production, which rinses the mouth at the same time. Acts as a self-cleaning agent. These can also help clean teeth naturally. Oranges, lemons and pineapples help produce more saliva in the mouth. Stay away from using lemon directly onto the teeth though as too much acidity can lead to the teeth getting damaged. We eat dairy for strong bones and teeth. 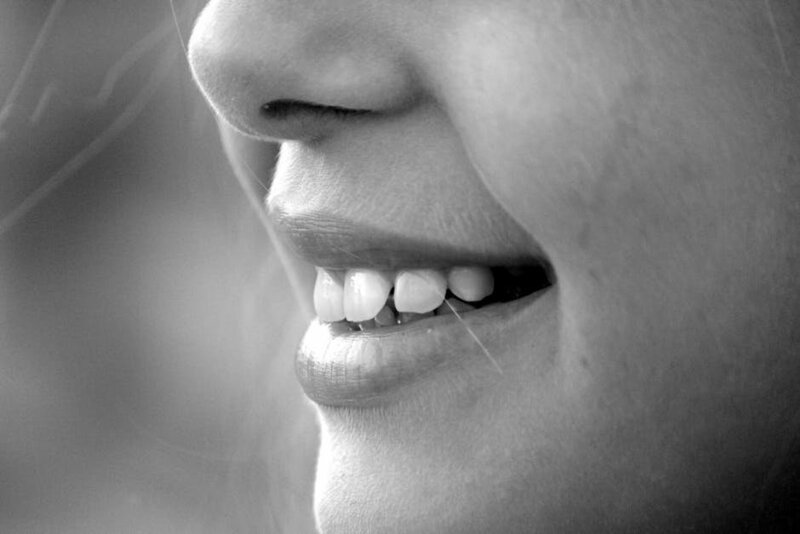 It is the lactic acid they contain that helps prevent the teeth from getting decay. So keep eating yoghurt, milk and cheese as they leave the mouth with a higher PH level this could lead to reduced cavities, i.e. more alkaline in the mouth equates to fewer cavities. 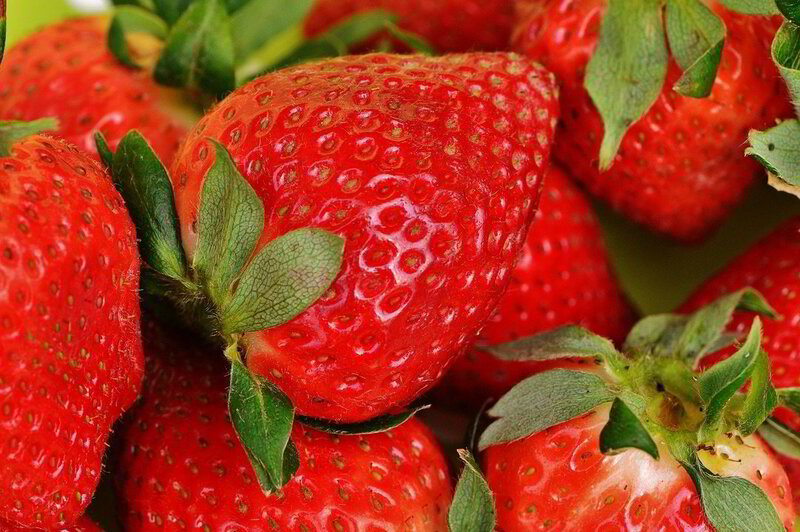 Surprisingly, strawberries help whiten teeth as well. This does surprise me as it is red and stains almost everything it comes into contact with. They contain an acid (malic acid) which makes the teeth whiter by removing some of the plaque. The results are not a permanent solution as the acid does not get into the enamel. So, eat in moderation. The high protein content in nuts, keep the teeth strong and protect them at the same time. By chewing nuts, more saliva is created in our mouths, and we know more saliva in our mouths is a good thing. Not a natural food you can plant in your garden, baking soda also helps whiten teeth. Its mild abrasion cleans the teeth and removes stains. You could mix it with strawberries to make your very own strawberry toothpaste. You could also try mixing it with other fruits and vegetables to see what happens. Use water containing fluoride to mix it to a paste consistency, before putting on your toothbrush to brush your teeth. After eating these foods, drink some water. Ideally, one that contains fluoride, as this would remove any excess acid or sugars from the mouth. Too much sugar and acid on your teeth causes decay, defeating what we are trying to achieve.